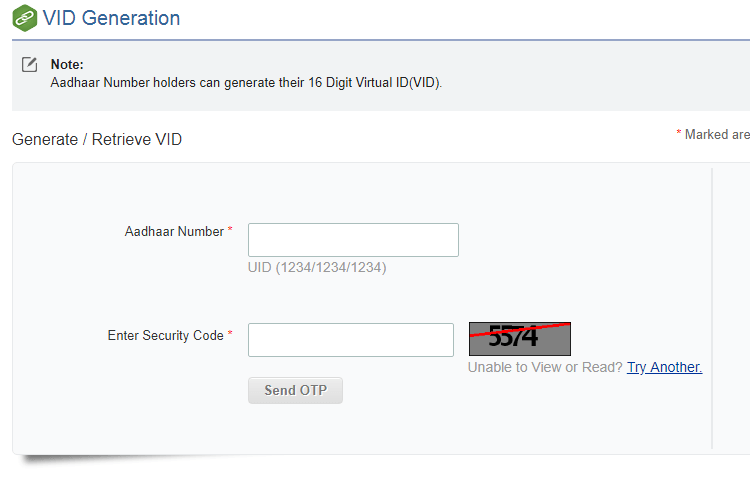 Here, Good News From UIDAI.UIDAI has Launch Virtual ID Number that means UIDAI has Provided 16 Digits Virtual ID number so when you want to buy any service you have only gives Virtual ID. The Main purpose of This feature is increased security of aadhar card as well less chance of data loss. 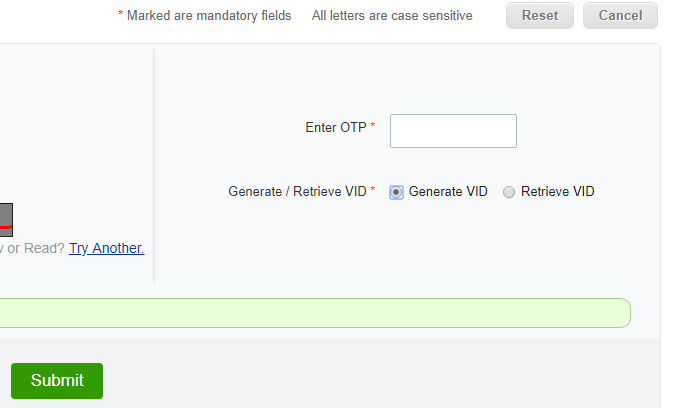 STEP 3: You Will Get One Time Password(OTP) on Register number and enter this OTP. This Is Not Official website of aadhar card &UIDAI website. This website made for a tutorial purpose only we never ask for an aadhar card number,E.ID or any other aadhar card details, Never share these details to anyone.